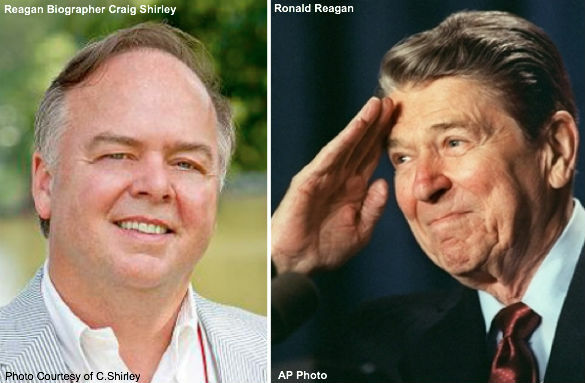 Yesterday our old friend Craig Shirley, chronicler of Ronald Reagan’s five-decade war of ideas against liberalism and communism, defined the national Republican Party this way in an interview with Brietbart’s Michael Patrick Leahy: "The Washington Republican party is no longer a political party in the way we understand political parties. It more resembles a crime family than a movement of ideas." Shirley was commenting on the charge that the reason Congress has not gotten to the bottom of the IRS targeting of conservatives and Tea Party movement groups is because the establishment GOP wants the IRS to hobble these groups just as much or more than do the Democrats. The notion that the Republican Party leadership is slow-walking the investigation of the IRS was first raised publicly by Democratic pollster and Fox News regular Pat Caddell. "The establishment Republicans want the IRS to go after the Tea Parties," Caddell told Fox News on Sunday. "When you have 71 percent who want an investigation, 64 percent who believe that it is a sign of corruption including nearly a majority of Democrats," Caddell said, "the reason is the establishment Republicans want the IRS to go after the Tea Parties. Got it?" According to Breitbart’s Leahy, Caddell said the GOP establishment is happy to have the IRS take the Tea Party down a notch. "Because the Tea Parties are an outside threat to their power hold and I'm telling you the lobbying consulting class of the Republican party and Republican leadership who have been attacking the Tea Parties, and alienating them, they want the IRS to do this," Caddell said. Rush Limbaugh then waded into the fray by addressing the controversy during his Monday radio program remarking: "That is a serious charge. That is a very, very serious charge that the Republican establishment is aligned with Obama and is okay with Obama using the IRS to investigate the Tea Party. But it's believable, because we know the Republican establishment, the political class in Washington, is spreading the word that they are not gonna criticize Hillary, it isn't gonna happen, and we shouldn't, either. It shouldn't happen." We think Craig Shirley, Rush Limbaugh and Pat Caddell are on to something, but we wouldn’t limit it to the IRS scandal. You can go right down a long list of issues, starting with the IRS scandal, but including the failure to get to the bottom of the Benghazi attack, the establishment Republican Party “leaders” betrayal of conservative principles on spending and the debt ceiling, and the GOP’s failure to use their full constitutional powers to carry the fight against Obamacare to a successful conclusion, and see the pattern. And the pattern is this: It doesn’t matter which establishment Party is in power; the progressive inside “leaders” work together to grow government and make themselves and their friends rich in the process. Craig Shirley is right, such an intellectually bankrupt process does resemble a crime family a whole lot more than it does a movement of ideas. Submitted by gblumel on Fri, 02/28/2014 - 15:09. Submitted by editrel on Wed, 02/19/2014 - 15:07. To put it simply, US politics is a puppet show. At the grassroots level, the Republican and Democrat Parties appear to be quite different -- even opposite. They're in the audience, on either side of the aisle. The politicians are the marionnettes onstage, yammering away at each other in convincing fashion. But if you follow the puppet strings up above the curtains (few in the audience ever do) ... you'll find two hands attached to the same puppet master. Why is this concept so seemingly difficult for the masses? It's not, but perpetuating the shared illusion of self-rule requires no effort, just acquiescence.